Former Minister of State for Defence, Musiliu Obanikoro, on Wednesday lashed out at the Nigerian government, a day after operatives of the Economic and Financial Crimes Commission raided his home and a property belonging to his son, Jide, in Lagos. Mr. Obanikoro, who left for the United States shortly after the 2015 elections and has remained there, said the action constituted a “sad throwback to a tyrannical past that is better forgotten” as no warrant was legally obtained from any court to embark on the search. Mr. Obanikoro issued the statement in a series of tweets he posted on his Twitter page, @MObanikoro, on Wednesday morning. The properties, located at Parkview Estate and Onikoyi Drive, both in the Lagos highbrow suburb of Ikoyi, were thoroughly searched by operatives. The wife and children of the younger Mr. Obanikoro were at home when the property along Onikoyi Drive was raided, sources said. Mr. Obanikoro, his son, Jide, and another son, Gbolahan, as well as his wife were said to be in the U.S. Authorities said Mr. Obanikoro is being investigated on allegations of official misconduct and illegal contract splitting, and operatives made away with documents, vehicles and other valuable items from the two properties. But in his reaction, Mr. Obanikoro said he was not aware of any investigation into his activities when he held different ministerial portfolios in the administration of President Goodluck Jonathan, adding that he was being victimised because of his political affiliation. Mr. Obanikoro said that any extradition proceeding against him cannot stand the test of a decent judicial system, especially in the United States. 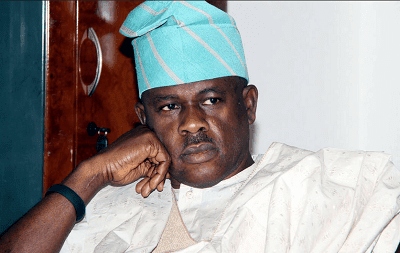 “Rumours of extradition are also lies – false allegations cannot stand up to any decent legal inquiry in a civilised system such as in the U.S.
Mr. Obanikoro said his travails at the hands of anti-graft officials were calculated to divert the attention of Nigerians away from the “abysmal and ignominious economic records” of Mr. Buhari.